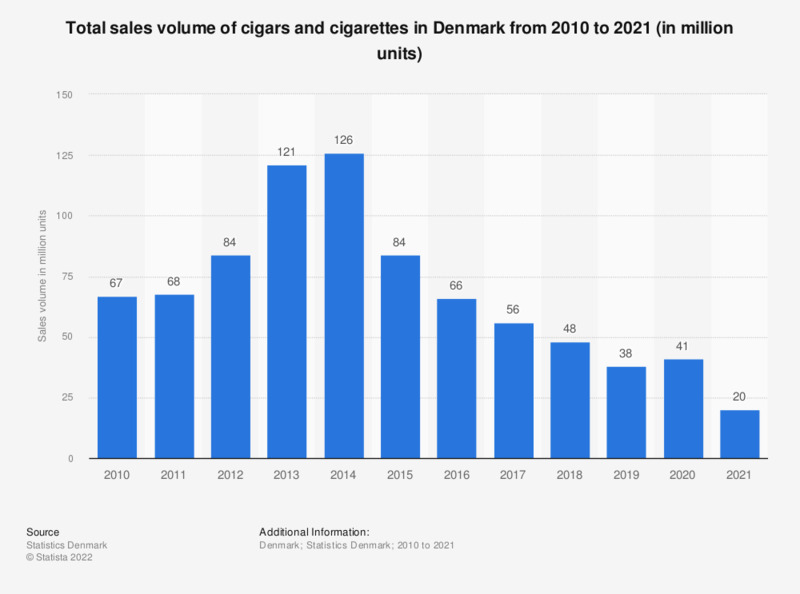 The statistic shows the total sales volume of cigars and cigarettes in Denmark from 2007 to 2017. In 2017, the sales volume of cigars and cigarettes in Denmark was 56 million units. Statistics on "Tobacco market in the Netherlands"